Save the Children works in over 120 countries and in 2015 it reached over 62 million children through programmes that help them survive, learn and be protected. Save the Children relies on a variety of managers to engage and lead their teams, and partner organisations, to carry out this work. All of this depends on having skilled managers who can be adaptable, think on their feet and work effectively, sometimes with limited resources. Save the Children recruit very bright capable staff who, because of the local resources, haven’t had access to much professional development. Being an international organisation that operates primarily in English, historically, most of the training was facilitated by staff based at the UK centre, who conducted the training in English. However, they were sometimes unable to provide training support where it was needed, in the language that was needed and as often as it was needed. The challenge was to create a group of management development trainers in every country who could work locally, developing the management skills of their own staff. Could this be done in a way that kept the standard of training as high as possible? Could this be done in a way that didn’t eat into Save the Children’s financial resources? 5 years ago, Learning Curve became part of a group of experienced management trainers – called the Multipliers – who donate their time for free, to travel around the world and run Train the Trainer programmes for Save the Children staff. We also support the new management trainers and coach them as they run their first few programmes. 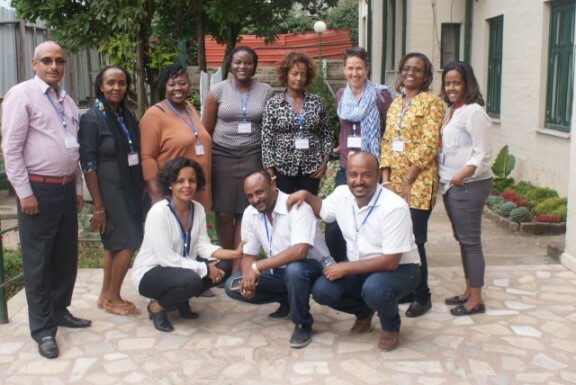 So far, we have developed and assisted new, capable, management trainers from Bangladesh, Ethiopia, Jordan, Kenya, Kosovo, Mozambique, Somalia, South Africa, Syria and Turkey. Five years on, Save the Children has a consistently good standard of management training taking place in countries right across the developing world. Some of the best management tools and models are being communicated and used every day in different languages, to help teams work together better and be more effective with their resources. Ultimately, this means that Save the Children’s resources can stretch further… and reach more children across the world. That has to be a great outcome.